Khmer Rouge head of state Khieu Samphan and “Brother Number Two” Nuon Chea were “Pol Pot’s double shadow” and should be held legally and morally responsible for the horrors inflicted on Cambodia in the 1970s, prosecutors argue in a closing brief at the Khmer Rouge tribunal. The 793-page document, which was made public on Wednesday, offers a comprehensive assessment by the tribunal’s prosecution as to why Nuon Chea and Khieu Samphan are guilty of widespread crimes, including genocide. It often uses the defendants’ quotes against them. The brief lambasts the defense’s efforts to absolve their clients of guilt, saving the harshest criticism for what it describes as the Nuon Chea team’s “morally abhorrent” justification of mass purges of perceived enemies of the revolution. “What can justify government leaders treating their own people as expendable commodities to be used to labour, fed only when convenient, bred to increase the population, and disposed of whenever suspected of lacking loyalty to the leadership that inflicted such suffering?” the prosecution asks in a summary of the vast document. The prosecution sets about dissecting Nuon Chea’s claims that extrajudicial killings were necessary to protect the country from foreign enemies, and Khieu Samphan’s assertion that he was ignorant of atrocities taking place in the country he was charged with overseeing. “The evidence has shown that Nuon Chea and Khieu Samphan played knowing and critical roles in a campaign of crimes that can never be justified,” the brief states. “They were the two closest associates of Pol Pot, the Communist Party of Kampuchea (CPK) leader, and were among a small group of CPK leaders that entered into a plan to use criminal policies to maintain their own grip on power and hide the failures of their governance,” it states. The Nuon Chea defense argued in its closing brief that this definition was not applicable to either the Cham or the Vietnamese, and that those targeted by the regime were guilty of unlawful activities such as treason or espionage. 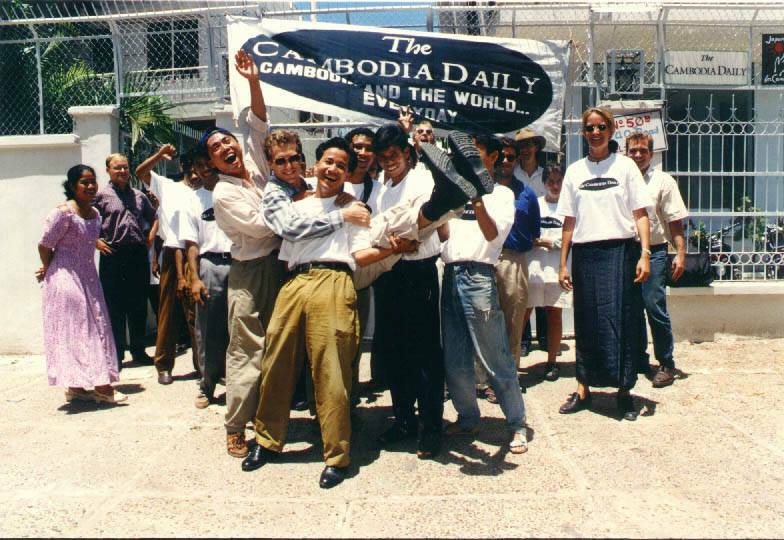 The prosecution strongly disputes this, and argues that crimes committed against both groups during Democratic Kampuchea (DK) clearly fit the legal definition of genocide. The regime systematically made efforts to prevent Cham Muslims worshipping, banned them from speaking their own language and forced them to eat pork, the brief argues. A guilty verdict on the crime of genocide does not require that the perpetrators wiped out an entire group, as long as it can be proved that there was an effort to exterminate a significant portion of the group, affecting its survival. The prosecution noted that the majority of Cham leaders were killed by the Khmer Rouge, with the number of Cham village leaders falling from 113 to 20 during the regime and the number of teachers of Islam falling from 300 to 38. There was also ample evidence of a genocidal policy that developed over time against the ethnic Vietnamese, the prosecution submits. It notes that the majority of ethnic Vietnamese were deported soon after the ultra-communists overthrew the U.S.-backed Lon Nol regime. As the regime’s “paranoia” about the intentions of its larger neighbor took hold, it resorted to more extreme methods of wiping out the Vietnamese from Cambodia, it claims. “By about 1977, the regime adopted a policy to kill any Vietnamese that remained within its borders, even spouses of Khmer,” it states. 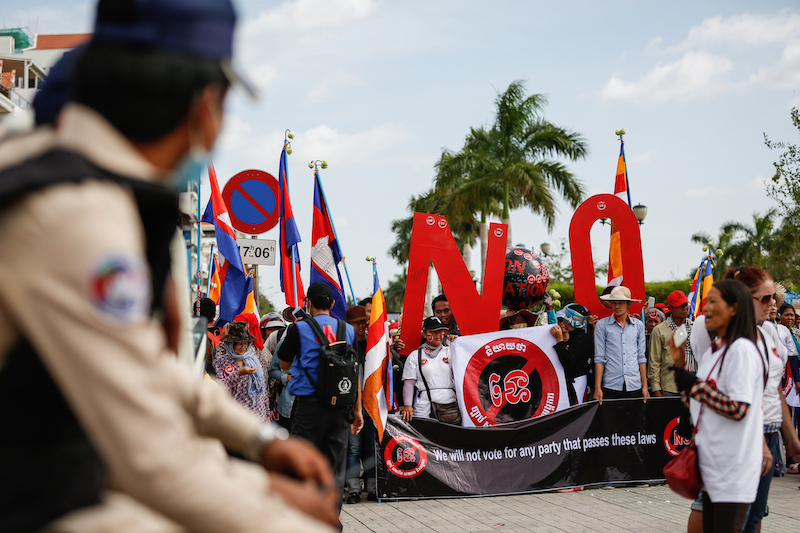 The prosecution sets about debunking the Nuon Chea defense’s claim that the Khmer Rouge revolution was set off track by rebellious, Vietnamese-backed infiltrators. Nuon Chea’s lawyers argue that internal purges of such factions were justified, and that the ailing former leader should walk free. “These arguments are legally baseless and morally abhorrent,” it claims. “It follows from Nuon Chea’s arguments that any totalitarian regime is free to torture and summarily kill any of its perceived critics simply on the suspicion that they are disloyal to the leadership of the regime,” it adds. The Nuon Chea defense’s argument that the likes of East Zone secretary Sao Phim and his counterpart in the Northwest Zone, Ruos Nhim, were purged because they were responsible for killing innocent civilians was baseless, it argues. 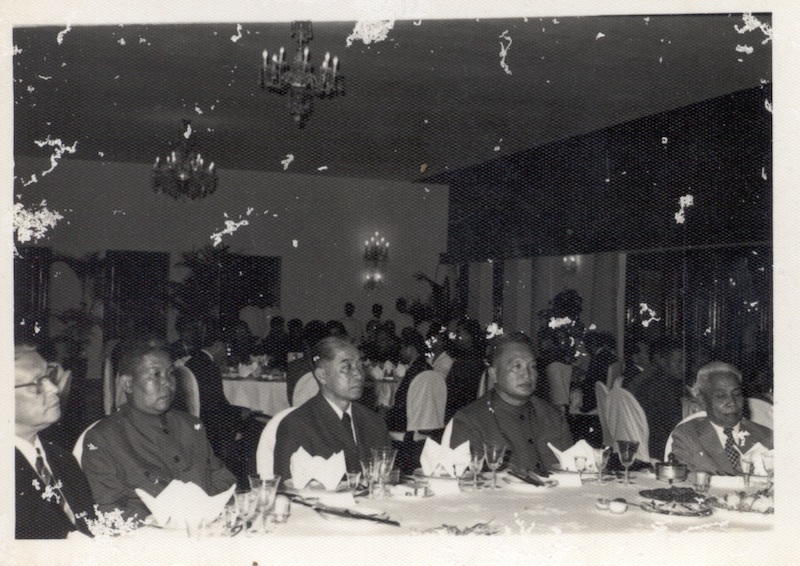 In reality, these zonal commanders were targeted due to fears among the CPK’s leadership that their grip on power could loosen, and were then “replaced by even more murderous cadres,” it argues. Although the prosecution accepts that Nuon Chea and Khieu Samphan did not order or have awareness of each individual killing, it argues they were intent on wiping out anyone whom they suspected of opposing them. “What the evidence does establish is that they were aware that mass killings were ongoing and continued to incite cadres to smash ‘enemies,’ a clear signal that their intention was to promote the campaign to seek out and kill without any due process whole categories of people based on mere suspicion that they might oppose the regime,” it states. The two defendants were not simply Pol Pot loyalists, but his closest confidants, the brief asserts. “Despite all the killings and misery of the regime, the only criticism that Nuon Chea had for Pol Pot was to tell him he was working too hard and not paying enough attention to his wife,” it notes. “He grew emotional speaking of Pol Pot, telling the filmmaker, ‘I can still see him in the Cardamon Mountains, here and there. I always keep a clear image of him in my head,’” it states. While the brief dedicates its harshest words to Nuon Chea, the prosecution pours scorn on Khieu Samphan’s claim that he was unaware of the atrocities. “Khieu Samphan’s claims that he was ignorant of the brutality of the regime are patently incredible,” it states. 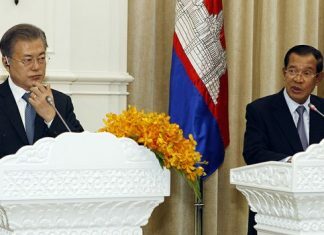 Nobody living inside Cambodia’s borders between 1975 and 1979 would have been oblivious to the horrors unfolding, and certainly not the head of state, it says. 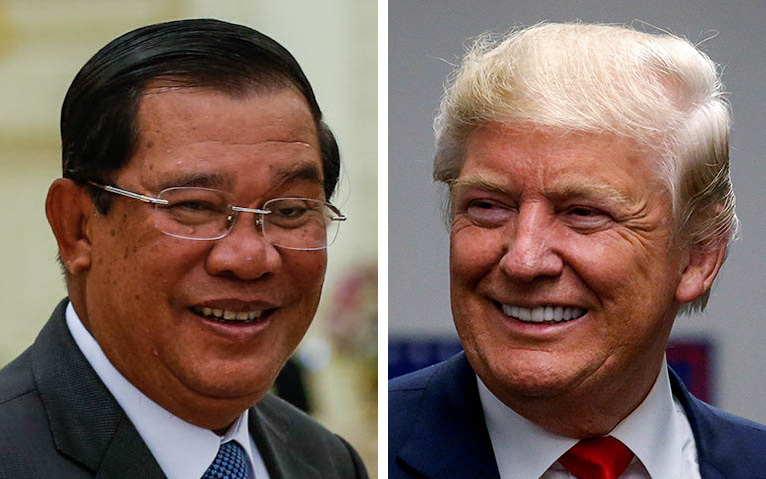 “Khieu Samphan, who worked at the centre of the regime, worked and dined daily with Pol Pot and Nuon Chea, travelled the country, and regularly attended the meetings of the ‘Expanded Standing Committee,’ would obviously be much more informed than most about these crimes,” it states. The wealth of evidence against the aging former leaders, their lack of remorse, and the attempts by Nuon Chea to “justify his purge campaigns” should result in another life sentence for the pair when the verdict is handed down later this year, prosecutors argue. (Both received life sentences in a first trial in 2014 for crimes against humanity). “There was nothing patriotic about summarily executing many thousands of Cambodian men, women and children without legal process in an attempt to preserve the rule of Pol Pot and his shadows,” it states.